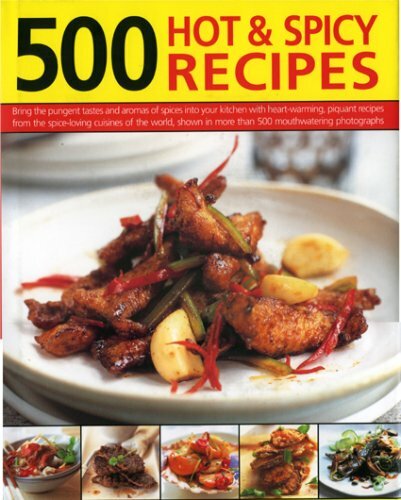 The latest addition to Agate Surrey's beloved 1001 series of cookbooks is its hottest ever. 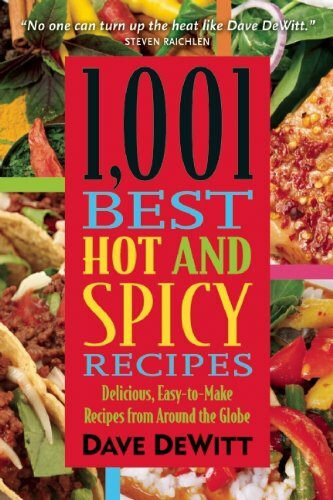 The largest and most comprehensive cookbook ever published on this subject, 1001 Best Hot and Spicy Recipes is composed of the very best dishes from author Dave DeWitt's collection of chili pepper–laden recipes. Created from his globe-trotting travels, from colleagues, and from research in authentic, obscure, and out-of-print cookbooks from all over the world, the book is loaded with a huge variety of soups, stews, chilies, and gumbos. It also includes a broad selection of barbecue dishes for the grill, a lengthy list of meatless entrees and vegetable options, and even a surprising array of zesty beverages, desserts, and breakfasts. 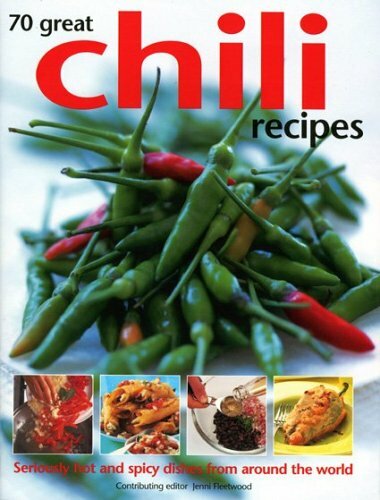 Recipes are organized according to the region from which the chili peppers come: South and Central America, Mexico, the Caribbean, the United States, Europe, the Mediterranean and Middle East, Africa, the Indian subcontinent, and Asia and the Pacific. A treasury of the very best the world has to offer of great spicy foods, no serious cook should be without this jam-packed trove. I agree with the author above but I do believe the recipes are superb and the author is quite a well-respected authority on Greek cooking in particular, as well as the Mediterranean as a whole. Her pepper referneces are not very detailed, it's true. I think professionals still speak to laymen as somewhat simpleminded and in this case, I am a professional. I do think the home cook will find these recipes quite executable and reliable, which is more than I can say for chefs as Batali that always leave a very pertinent ingredient and or step out of the recipe, so your final result will never be as good. This is despicably miserable and stingy. Miss Kremezi does not do that. Like most Greeks, she gives her all. A deserving James Beard Award winner (though not for this book). 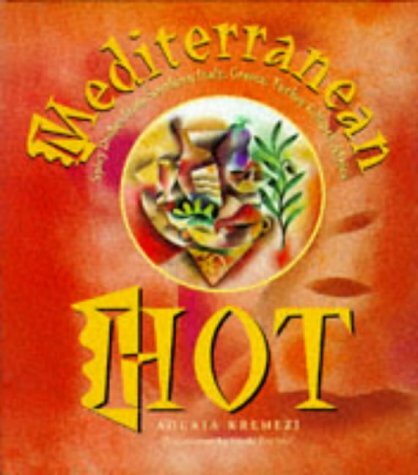 One of the most interesting and international cookbooks i have ever seen. 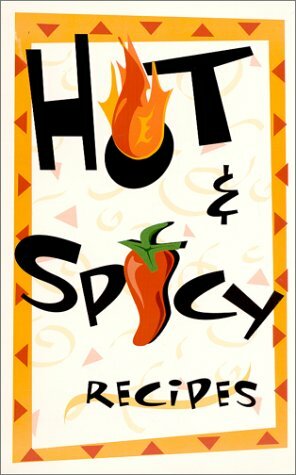 Gets you interested in trying new flavors, and gives options on some ingredients that may be hard to find locally. 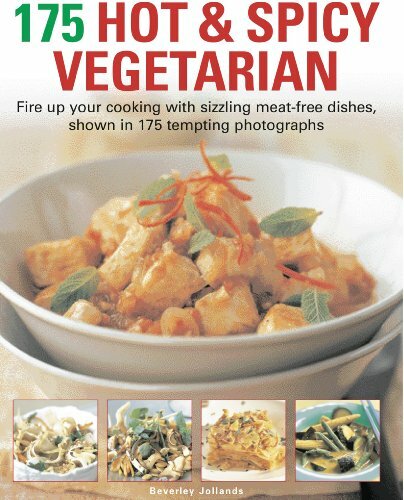 The best cookbook I have ever tried !! Elizabeth Lambert Ortiz is surely among the world's foremost proponents of Mexican and Central American Cooking, and this volume is a classic in the field.Its recipes are both fail-safe and delicious--wonderful antidotes to the awful Tex-Mex cooking found in so many so-called "Mexican Restaurants" in the USA today. Want a book that is more of an adventure guide than a paint by numbers? Give this a try, and be prepared to go hunting for exotic ingredients. (or not, he has included replacements and why you should try to find the original ingredients). Has opened up vast culinary frontiers for me, and I am stuck out here is AZ.! Done with wit and humor, is my favorite cookbook in the house.